The Passionate Foodie: Rant: NECAT Needs Your Support Immediately! NECAT (New England Center for Arts & Technology) is one of my favorite causes. In short, NECAT provides culinary training to students who have had troubles or disadvantages in their past, such as drug addiction or incarceration. You can check out my previous article, Support NECAT & Transform Lives, for more background information on NECAT and their mission. You also should check out my prior post, NECAT's 2018 Accomplishments, to see what NECAT has done this past year. NECAT now needs your support, and there is a sense of immediacy. It won't cost you any money, just a short bit of time. As their latest email states, "The House of Representatives will be considering the FY20 budget over the next few weeks. Representative Jon Santiago is filing an amendment this week on behalf of NECAT for $300,000 to help support our critical workforce training efforts. While NECAT partners closely with the state through the Learn to Earn initiative and our current Re-Entry grant, funding is limited and the state appropriations process remains a critical source of support for our continued growth." On behalf of NECAT, I ask you to please contact your State Representative no later than Friday, April 19 to ask them to co-sponsor this amendment in line item 7002-0010 for level funding to NECAT. You can find out who your Representative is by clicking here. This is such a worthy cause, that not only helps individuals but also helps the community. Please, please help NECAT. Please either personalize the template below as an e-mail or call your rep's office. My name is _____________ and I am a constituent in _____________. I am writing in support of the New England Center for Arts and Technology (NECAT) and their workforce training program for chronically unemployed individuals. 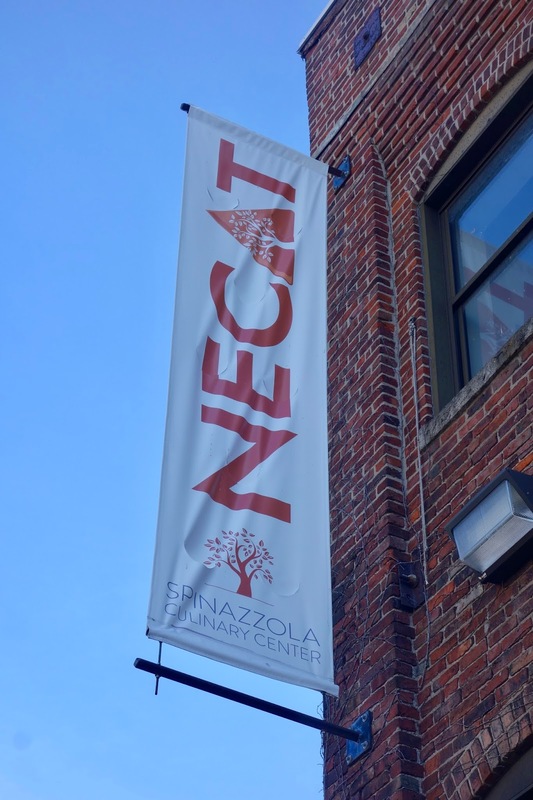 NECAT is a culinary arts job training program based in Boston that serves as a catalyst for social change, helping hundreds in our community bridge the skills gap, enter the workforce and achieve economic self-sufficiency. Students in NECAT’s tuition-free program learn practical culinary skills, receive financial coaching and participate in job readiness and attitudinal training to prepare for jobs in an industry with a high demand for workers. NECAT empowers individuals who face significant barriers to employment, including homelessness, recent incarceration and substance abuse recovery, to move from reliance on state public assistance to personal and financial independence. Successful NECAT graduates are saving the state significant dollars by getting off public benefits, staying out of prison and paying taxes, often for the first time. I respectfully request that you co-sponsor Representative Santiago’s amendment to line item 7002-0010 for $300,000 in level funding for NECAT.